Though the $290 bln BofA cranked out better second-quarter results than Michael Corbat’s $170 bln bank, its annual returns are forecast to be in the same ballpark. Even so, Brian Moynihan’s lender sports a big valuation premium. That suggests investors haven’t forgiven Citi yet. A man walks past a Citibank branch in lower Manhattan, New York October 16, 2012. Bank of America on July 16 reported second-quarter net income applicable to shareholders of $6.5 billion. At 63 cents a share, earnings beat the consensus estimate of sell-side analysts of 57 cents a share. Annualized return on equity for the quarter was 10.75 percent. Revenue of $22.6 billion beat the analysts’ estimate of $22.3 billion. 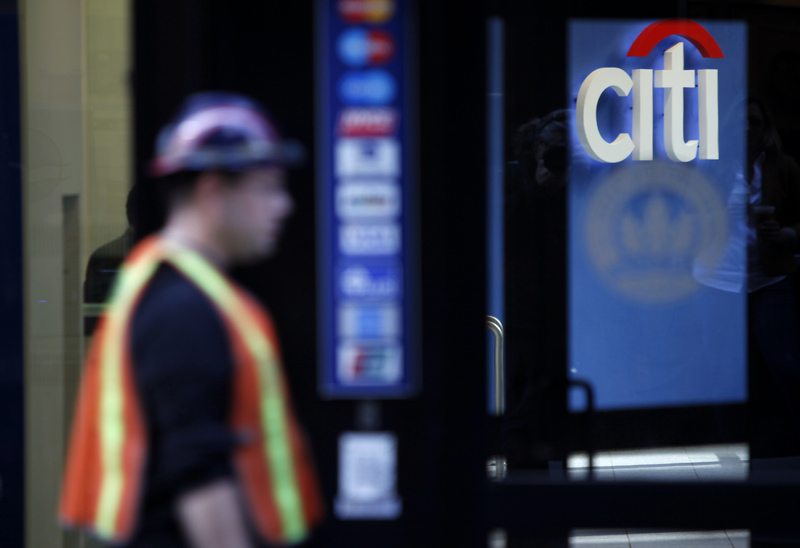 Citigroup reported its second-quarter results on July 13.